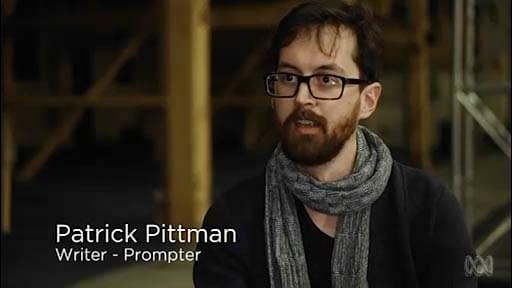 After four years in development, Prompter, my debut the­atre work, writ­ten in col­lab­o­ra­tion with direc­tor Sam Fox and Hydra Poesis, was staged at the Arts House Meat Market in Melbourne in August 2013. 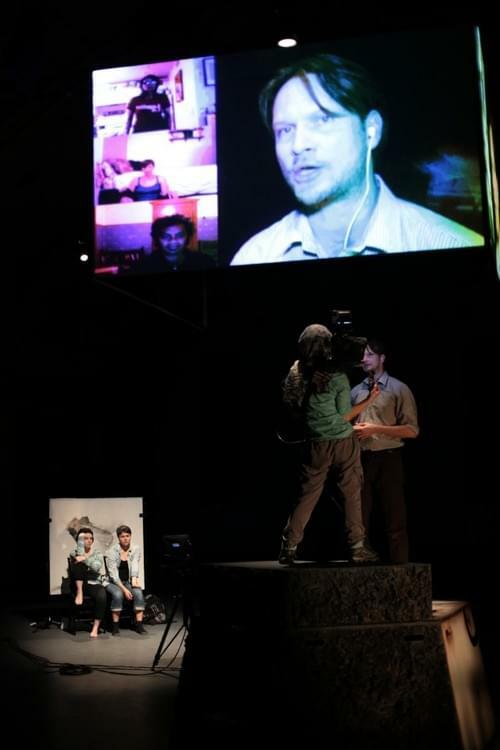 Rather than me try to explain here what we were play­ing at (some­thing about post-colonial legacy, the nature of truth in the mod­ern media cycle, ideas of dis­as­ter and medi­a­tion), here’s a lit­tle doc­u­men­tary the ABC made on the play, wherein I say some mod­er­ately intel­li­gent things about it. And here, more bizarrely, are Sam and myself on live national break­fast television. For this project, I had the priv­i­lege of dra­maturgy from the great Australian play­wright Stephen Sewell, a com­poser signed to the Warp label, and input and feed­back from a phe­nom­e­nal group of actors, pro­gram­mers, set design­ers and other col­lab­o­ra­tors. Development of the play was funded by the Australia Council, the WA Theatre Development Initiative, and oth­ers, no doubt. Call me at +1 647 479 8870. Stalk me on Twitter, Tumblr or Instagram.